I love visiting Dade county from time-to-time. The atmosphere is very lively there and the culture is rich and diverse. There are many entertainment venues, tourist attractions, restaurants, etc. But, I hate driving to Dade county, Florida. The traffic is horrible and don’t get me started about driving to Miami on I-95. I had to commute from Broward to Miami for many years and it was brutal at times. The parking in Dade county is sometimes scarce and costly. This is especially true in certain areas of Miami-Dade county. Drivers have to worry about feeding money into parking meters or paying to park at a lot or garage. If you aren’t cognizant of these facts, you could end up with traffic tickets, a towed vehicle, and/or road rage. So, when I need to travel to Dade county, I prefer to travel there via Tri-Rail versus driving. It saves me a whole lot of stress, gasoline expense, plus it is a nice train ride. 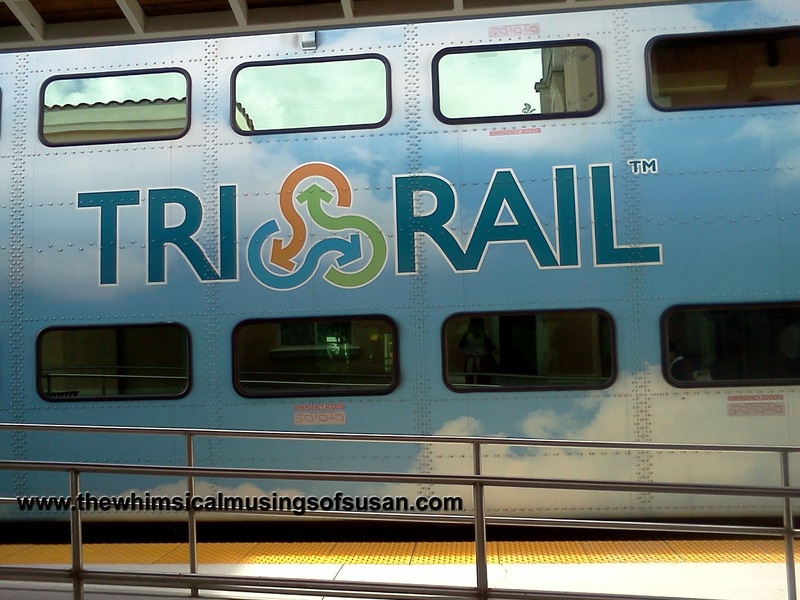 The Tri-Rail train is air-conditioned, and has fairly comfortable seats. 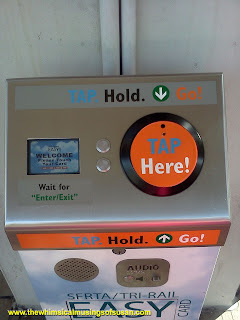 It also has Wi-Fi internet, although, I had trouble connecting to it with my LG Optimus V the last time that I took a ride on Tri-Rail. There is security onboard the train whom randomly check passengers’ tickets. Tri-Rail runs from Palm Beach County to Dade County. The train goes as far north as Mangonia Park and as far south as Hialeah. 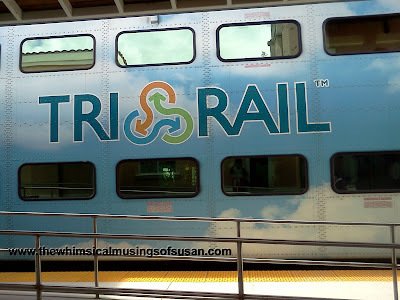 I noticed that several people use Tri-Rail to commute to work between counties. Some of them may opt to park their cars at the Tri-Rail station and take the train from there. 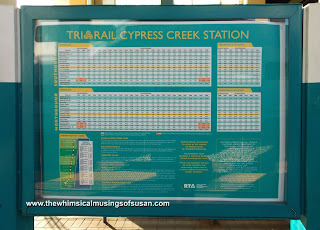 I use Tri-Rail to get to popular places like Bayfront park and the West Palm Beach Waterfront. 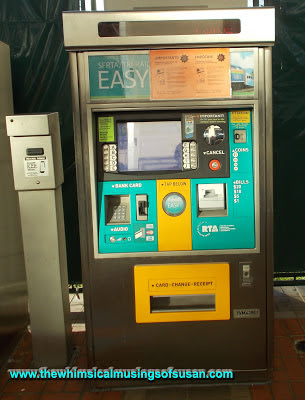 There are many options available for purchasing train fare (one way, round trip, monthly, 12 trip, etc.). I don’t usually need to go to Dade county during the week. 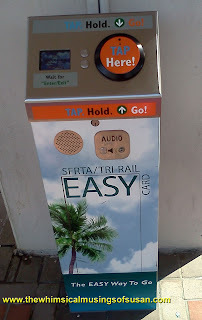 Therefore, I find that it is cheaper for me to purchase trip a $5 weekend pass to board the Tri-Rail. The weekend pass allows unlimited train rides for one weekend day only. Passengers can purchase an Easy Pay card and load funds onto the card or buy a paper ticket. With the Easy Pay Card it is convenient and they can be registered for protection. One thing I dislike with these cards is that if you “Tap” them too many times at the machine and station gates, you are may be charged excess fare. So, be careful with that if you decide to use an Easy Pay card. Another feature of Tri-Rail is that the stations provide easy access to other public transportations systems such as Miami-Dade transit, Metrorail, Broward County transit, and Palm Tran, as well as Taxi cabs. Passengers can receive discounted bus fare if transferring directly form a Tri-Rail station to county transit bus. 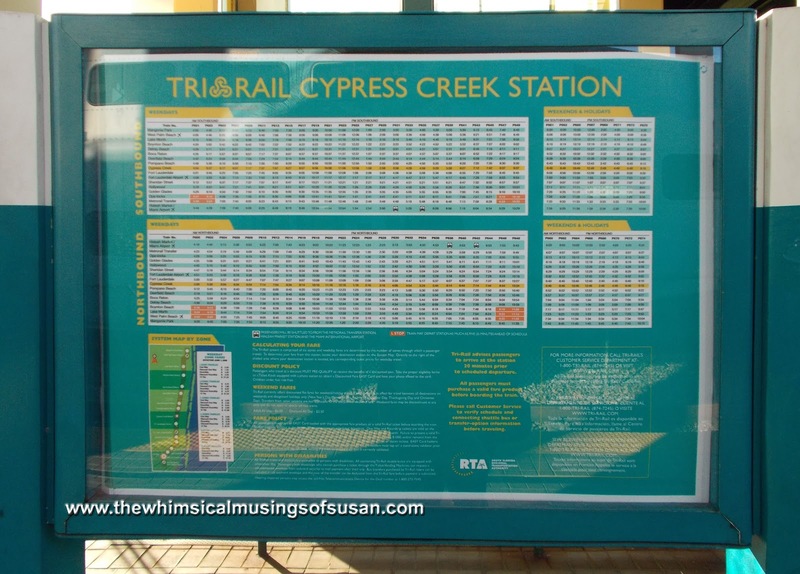 Some Tri-Rail stations happen to also have Greyhound bus stations and Amtrak stations. There is usually security and passenger parking at Tri-Rail stations.